Wear your Wolverines spirit with pride in this Michigan Wolverines Long Sleeve Hoodie! 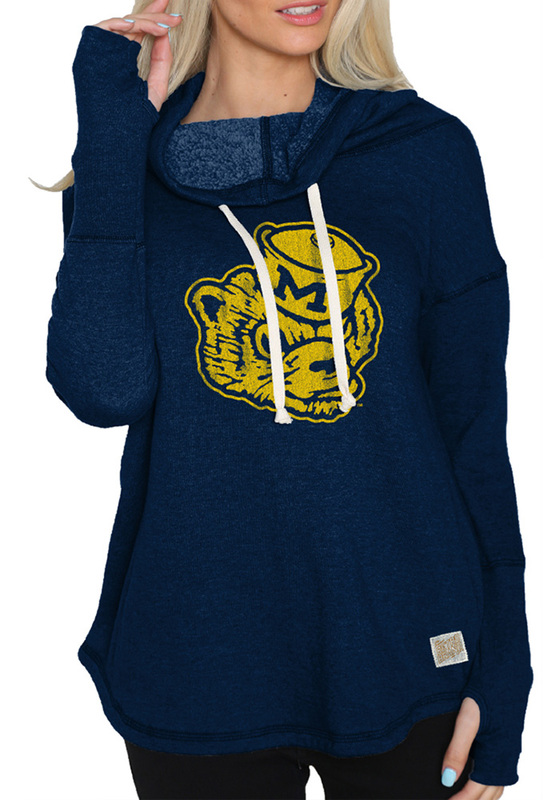 Fight off the chill in this Michigan Womens Navy Blue Vault Logo Hooded Sweatshirt. This Wolverines Long Sleeve Hoodie features a screen printed team graphic. My favorite pullover! Super cute and comfortable. Important to go up a size or two! Tight fit in the chest and arms. I normally wear a Large but went up 2 sizes for the best fit. Definitely recommend!